You can’t say a host has tight security as it is entirely down to the client. If justin did anything to give the guy the password to the host account then they can get into it regardless of how “tight” pandaserv is. Also you should probably look into testing different versions of forge if your dbc npcs are vanishing as I had the same problem ages ago now and it ended up stopping after using thermos with the 1614 forge build. Just use the customnpc cloner and you can find every entity that exists in your game and respawn them where you want. I use eclipse for all my java needs. The only reason anybody thinks they aren’t allow entirely is because people think you need to edit Jin’s code to do it but you don’t need to do that and if you aren’t editing his code then you’re doing nothing wrong. It isn’t a case of being lazy. Jin would literally need to remake the mod from scratch pretty much to make dbc 1.12 and it would most likely cause no progress for at least 6 months. I’ve made my own custom forms which required me to code quite a bit but I don’t know what you mean by create shapes. I do know that a lot of people have been using software to edit Jin’s mod to change the variables that were made to specify the color codes of different forms but at the end of the day it is just edited versions of a form and not a custom form plus they remove a form in order to make a “custom form” that way which is just crap. 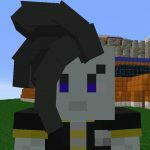 Can’t really see how you could do it with a resource pack as Jin makes all his textures white and then colors them in code and I don’t see him making multiple different textures for different forms as that seems rather pointless in which case changing the texture would result in the color being the same for all forms and base. Well I’m assuming you’re talking about coding an actual forge mod and in that case you could use the LivingHurtEvent event and either cancel the event or reduce the amount of damage being done while they’re wearing the specific type of armor you want it to work with and also make it reduce the durability of the armor when it absorbs the damage. They’re just cunts that setup bot accounts to join random wordpress websites and set them to take advantage of buddypress features. It is only not allowed if the person is doing so by editing Jin’s source code.